Some of you might know of my love for bunnies. I have taken care of several over the years and yet have been without a little furry companion for nearly a year now. That all changed a few weeks ago, when I went to my local Humane Society and adopted this little guy. 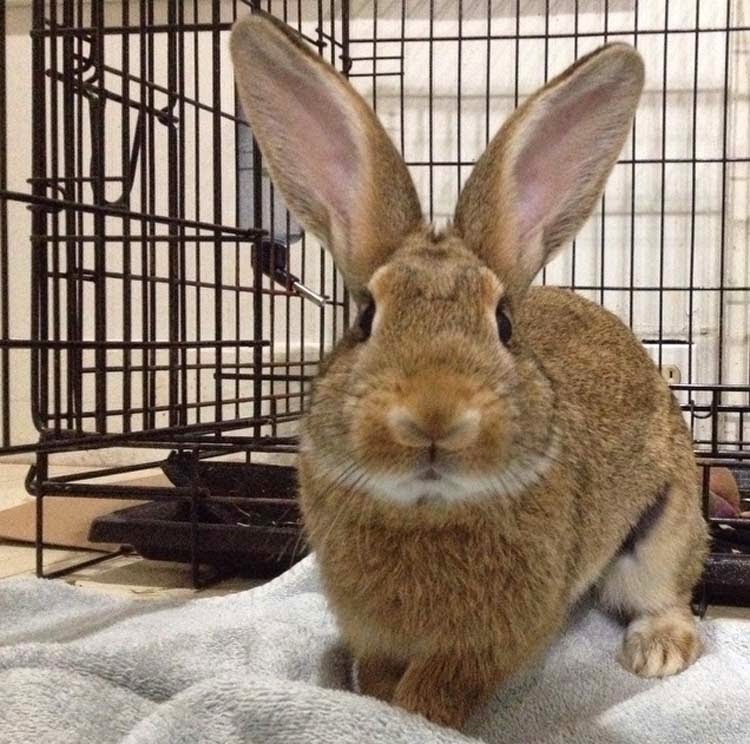 He was one of about ten bunnies of various ages and breeds that the organization had been taking care of recently. It was a tough decision, and while cuteness did count; so did the fact that this little one was still quite a baby...not even three months old. He has been adjusting nicely to his new home, scampering around, being inquisitive, and chewing up lots of cardboard and newspaper. He has been unnamed for about 3 weeks now; but I finally settled on Watson. It was in fact the first name that came to mind while I was at the Humane Society, and while I've been trying out different names these last few weeks...time and again Watson was the first one that I kept coming back to. Hello Watson, you're rather cute! Is he going to be a house bunny or will he have a cage? Congrats on your new family member. Watson is adorable, and I am looking forward to hearing about your adventures with him. Very cute. We had a rabbit named Clarence living with us last summer. Watson is adorable! Thank you so much for rescuing him. Watson! Yes…the name is a perfect fit. He's a cutie.